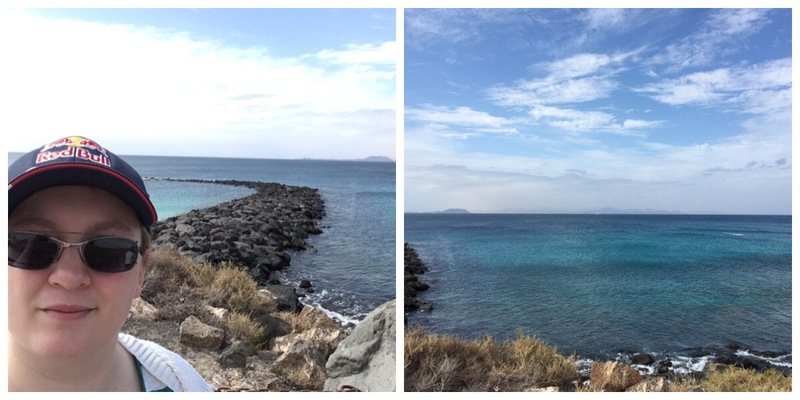 This is my next post in my Lanzarote 2016 series! I have a very brief video of it but skip past for more detail. 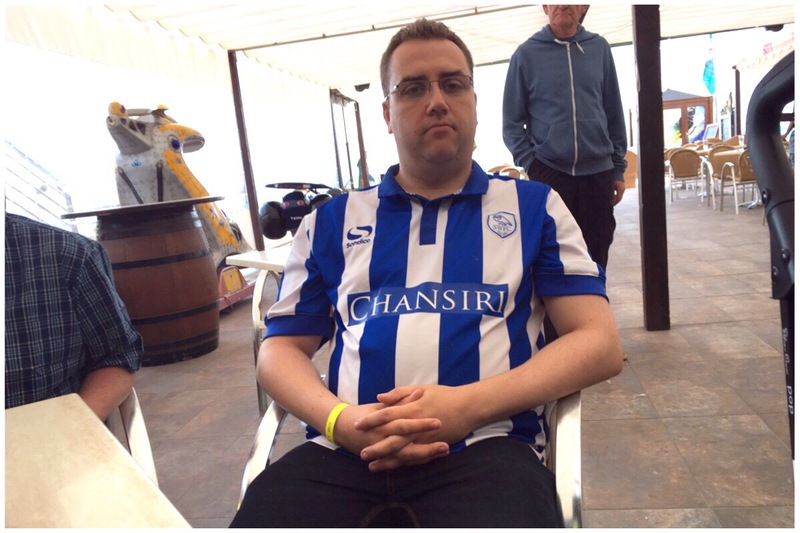 As I mentioned in my previous post, we’ve just been on holiday to Lanzarote for a week. I had never been there before so wasn’t fully prepared for just how windy it was there! Anyhow, we were staying in the H10 Lanzarote Princess hotel in Playa Blanca. We didn’t do much exploring but it’s a pretty normal seaside resort. There’s a beach and a lot of shops selling the usual seaside “tat”. Nain decided to buy Little Miss some Play Doh (thanks for that Nain!!) and she wouldn’t let it go! 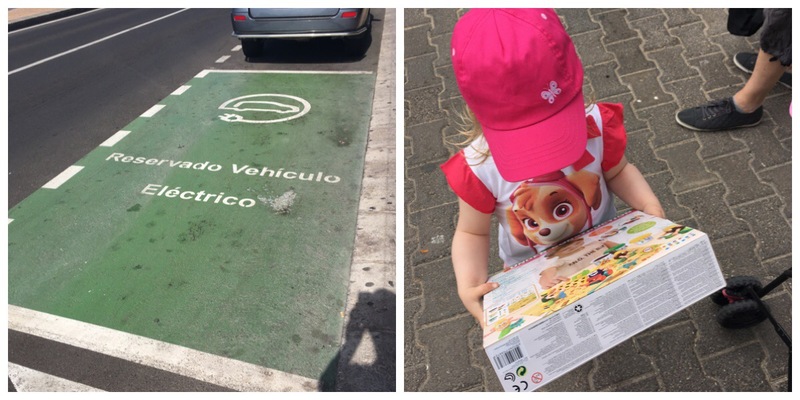 We also found an electric car parking spot. There was no charging point but a local informed us it was being installed. Not sure if I believe that but it was still nice to see the space. 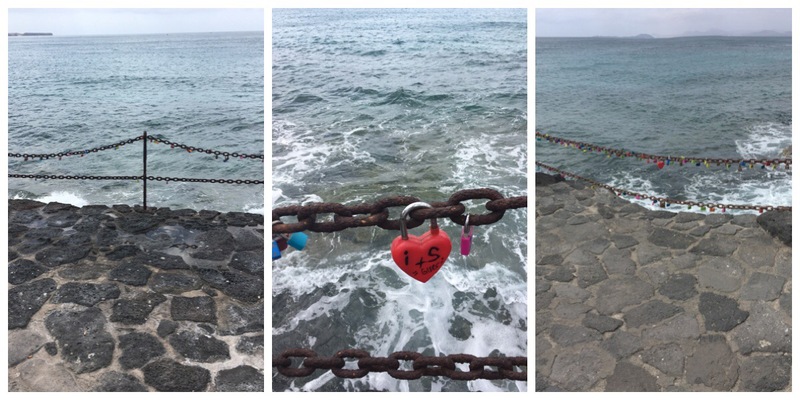 Walking along the seafront I spotted these love locks. There were loads of them! Some of them had been there a while and had started eroding. 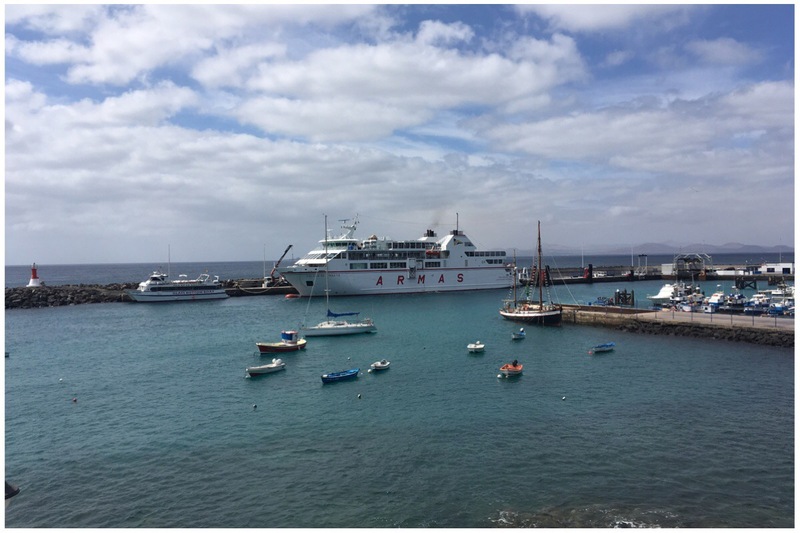 Further along there was a ferry port taking passengers and cars back and forth to FuerteVentura. Unfortunately I didn’t get a photo of the beach there but it was golden sand which surprised me. I thought it would’ve been black sand like Tenerife. It’s a decent enough place if you’re looking for some activity. There’s a water park there as well so plenty of things to do with kids. There’s also plenty of bars and we spotted that they were all showing the play off semi final between Brighton and Sheffield Wednesday. So hubby got to see the match. Have you ever been to Playa Blanca? I’m glad you had a lovely holiday. The electric car parking spot is fab, it’s fantastic that it gets easier and easier to drive with an electric car.